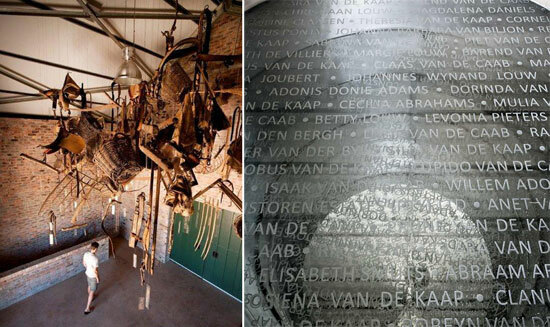 Babylonstoren has a 300 year history, which means a lot of hands and hearts have been involved over time. When you join our cellar tour, we have two graphic representations to remind us of all the people who have made this place what it is today. Hanging from the barrel cellar’s roof, you’ll see old pieces of farm equipment found on the farm, as well as a collage of the names of the farm owners, slaves, workers and managers over time. These people are long gone, and their tools no longer in use, but they have left a legacy that endures, and we are grateful for their work.